Oh Marc. I can see the skyline. smell the sea on the breeze and feel the soft moss and bracken under me as I sit on a headland and look out to sea. Fond memories of loved ones past and present come into my mind and yes my angels are singing. I can also smell the burnt landscape and hope that spring will let the pheonix rise out of the ashes and we can once again enjoy the pleasure this wonderful part of the world provides for us all. A lovely poem triggering strong emotions and sences. Evokes a similar response to A Hot Day on The Beach. Hemigwayesk if there is such an adjective. Certainly in the premier league for me. What a wonderful blog you have here. I’m anxious to come back and read more. 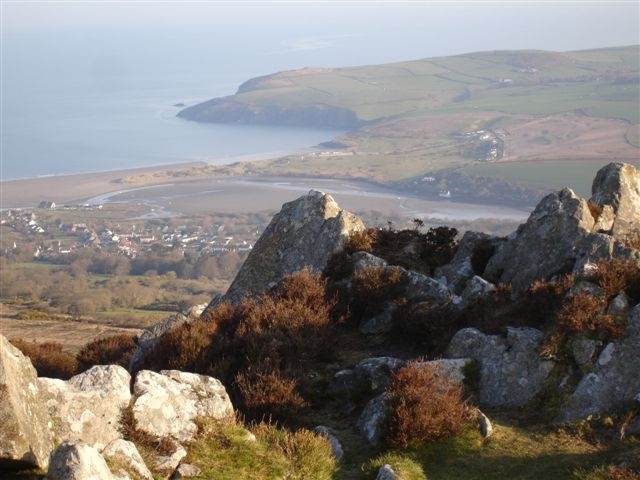 Reading this poem on a gray St. David’s Day morning in Brooklyn was a journey into the past: “remember those you love or loved.” I was born in Pembrokeshire, near Narberth, and my happiest childhood memories are of seaside holidays– Amroth, Wiseman’s Bridge . . . the photograph, Carningli Rock . . . so far away, so familiar. My angels were singing. Thank you. Very uplifting Marc – especially on a rather cold and foggy day here in the Forest – many thanks!